After the press conference for the new series,Kamen Rider Super1, they threw a party. One of the staff said, “Takasugi-kun is the leading character so we must know about him as much as possible. I guess he should sing Karaoke to make strong impression on us.” The people there cheered up and asked him to sing. Takasugi was reluctant to sing a song in public but he had no choices, so he did his best. One producer of Columbia Record company attended the party and his presence brought Takasugi an unexpected honor. Few days after the party, Takasugi recieved phone call from a producer of Toei company and was told to go to a recording studio of Columbia Record company. At the studio Takasugi got the sheet music on which a notation ‘Opening theme: Kamen Rider Super 1 Singer: Ichiro Mizuki’ was written. He thought he would sing insertion song ohterwise record narration or something for Rider’s LP record. Soon he was guided into the studio and one musician sitting in front of the piano said “Let’s get start rehearsing for the theme song, and then get on to the real thing.” Takasugi got astonished saying “I don’t have any experience of singing, so I must take a lesson!” One producer said “I don’t think you need to take a lesson. 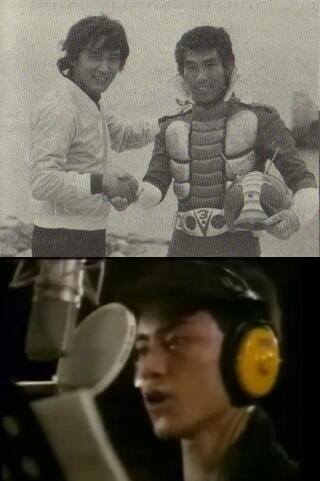 Now let’s get started.” Then after rehearsing he recorded the theme song of Kamen Rider Super 1. 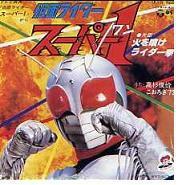 The theme song of Kamen Rider Black was composed by Ryudo Uzaki. When he accepted the offer of the composition he thought a professional singer would sing it. So he composed the song which was difficult to sing for an ordinal man. Later Uzaki happened to know that Tetsuo Kurata, who had no experience of training as a singer was supposed to sing the song, he thought he should have made the melody easier to sing. But it’s too late.